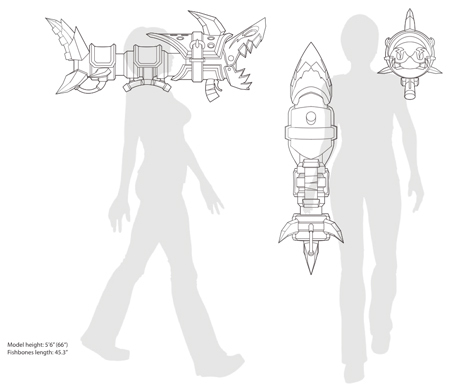 These blueprints are the 2-D vector files I use when creating my props and replicas. Fishbones is an in-progress build, so if you’re looking to make your own then these should definitely help out with your project! 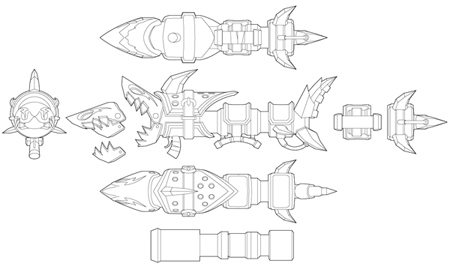 Fishbones is provided as several views, as well as a profile of the internal “pipe” for the rocket launcher and a scaling reference. Blueprints are available in PDF format and what is illustrated in the thumbnails is what will come with your purchase. Thumbnail images are low resolution; purchased files are vector and can be scaled to any proportion.